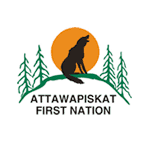 Attawapiskat has been in the news a lot because of crises. While the problems the community has faced are real, they are not problems of the community. While the narrow focus on crises in the media has reinforced negative stereotypes, it is important to remember how deeply this community has been altered by residential schools and continues to experience ongoing colonial practices and structures. It is also important to acknowledge that crisis is not all that has happened in Attawapiskat: cultural teachings, practices, traditions, and ceremonies are getting stronger. 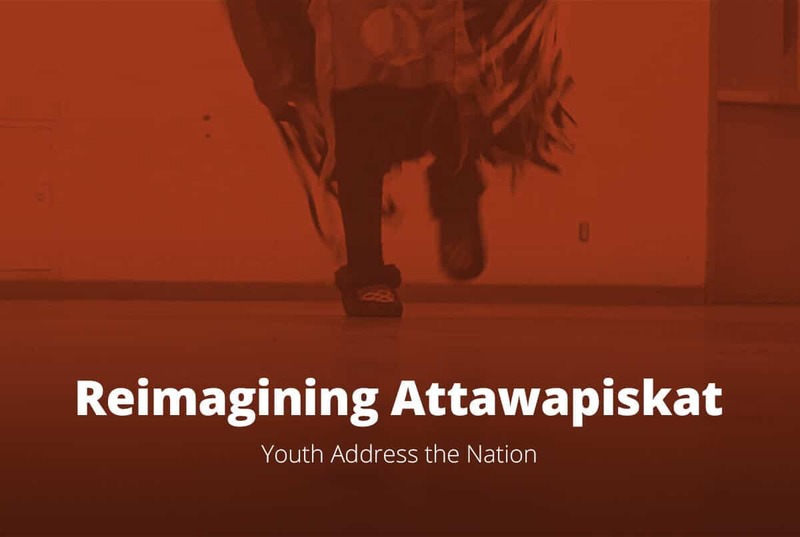 Reimagining Attawapiskat was created to address the imbalance in representation. It was created to allow youth a platform where they are able to tell their own stories, to say the things they want to say and address the issues they want to address, in any way they feel comfortable. There are photographs and essays, interviews and music videos. This is a space where the youth can feel comfortable expressing themselves and also a space where youth can begin to change the way outsiders see their community. ”These problems do not define us as youth or as a community. Attawapiskat is the place we call home. We want to show others the beauty that exists, the connections to land and to each other, the love and the hope. 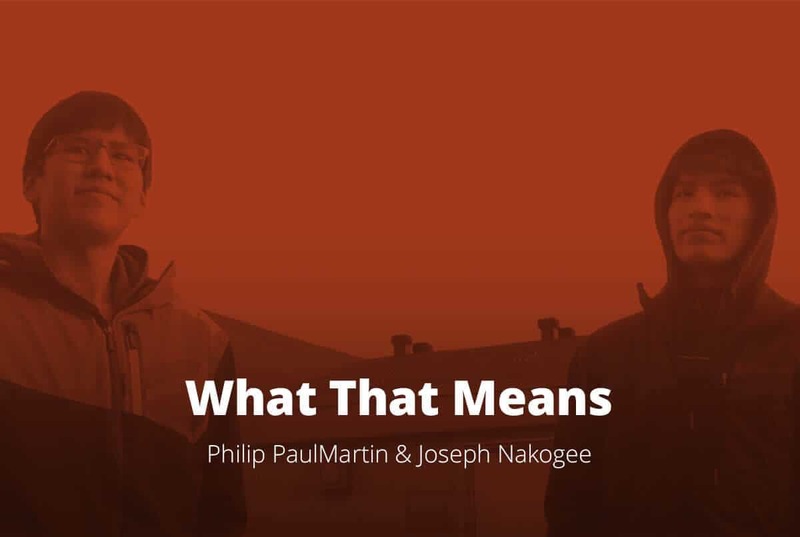 In 2015, when Keisha PaulMartin was in high school, she initiated Reimagining Attawapiskat as part of an art class project. Two years later, the project was profiled in Maclean’s magazine. 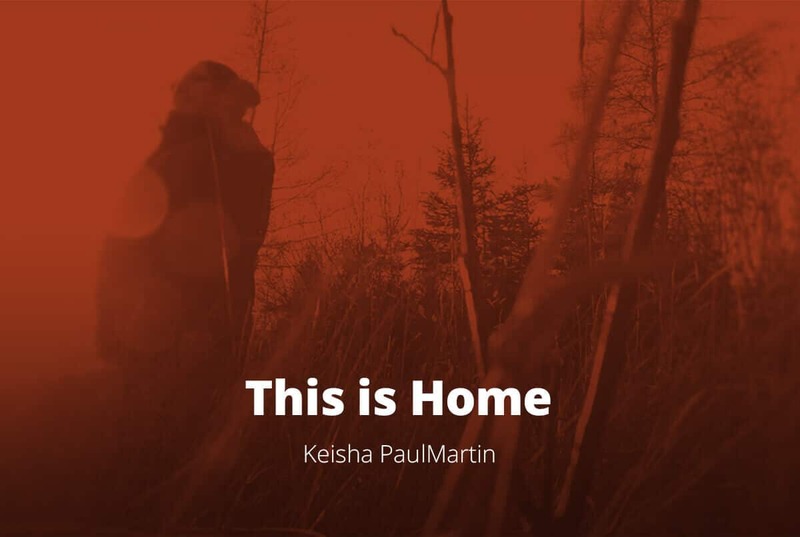 As stated in the Maclean’s article, the purposes of this project include “revisiting how media portray communities during crises and encouraging youth to become agents of change.” Keisha began by inviting students at Attawapiskat’s Vezina Secondary School to create postcards, with photographs they took themselves and captions they wrote. These postcards were shared with others across the country to provide a richer portrayal of what life in Attawapiskat is like, beyond crises. Since then, the project has taken on a life of its own, including a website (supported by Dr. Sarah Wiebe), photography workshops, a video component, poetry, and short stories. It has become not only a means of sharing diverse voices with the world outside of Attawapiskat, but it is also contributing to a growing sense of pride within the community. Identities are strengthening. Young people are building relationships with each other as they work together through this project. And they are increasingly seeing themselves through a new lens as they actively change the narrative through art.